Over the weekend we traveled to the Pate Hollow Trail in Bloomington and it turned into a great little hike. The weather was about as perfect as it could get for this time of year and since the trail lays across very clay-like soil it wasn’t muddy except in a few areas close to stream crossing even though it was raining steadily for most of the hike. This was also the first occasion that someone else has shown up for one of our scheduled hikes. Since we founded Free Range Hiking at the beginning of the year we’ve been doing our best to try and share our love of hiking and the outdoors with people in the areas that we hike by setting up a Meetup group and weekly events associated with the Free Range Hiking Facebook page https://www.facebook.com/freerangehiking/?ref=hl. So today Dave from our Meetup group and his Yellow Lab Corbin decided to show us how Hiking is supposed to be done. Corbin absolutely loves being on the trail and checking out anything that moves in the underbrush as they hike. Dave has been out to a lot of the places that we’ve hit in Morgan Monroe, he also suggested some other nearby trails that he hikes regularly. Dave has been actively hiking for a lot longer than we have and had no problem burning my legs out as he was leading the hike for the first half. The funny thing is that you don’t really take your speed into account when you’re hiking as a pair or on your own. But when you hike with someone new you start to think more about your speed versus their speed. If you’re a fast hiker, you probably don’t like to be slowed down and if you’re a slow hiker, trying to keep up can be a real challenge. On this occasion I stopped a few times to snap pictures only to turn around and see that they had left me in the dust. But it was a fun experience and definitely put into perspective where we actually need to be before we try to take on the Appalachian Trail. After starting at about 10:45 because a little delay in finding the actual trail head we made it through the 7.7 mile loop and back to the cars right around 1:30 making this the fastest hike that we’ve completed yet. I try not to think about time from start to finish so much while I’m out there, instead I like to enjoy the scenery and the serenity of the forest and take in the moment. But every once in a while it’s cool to see how quickly you can get through a rugged trail when you’re pushing yourself. I know there are a lot of people that could do those miles faster. But we’ve come a long way since the beginning of the year and we’re only going to continue to get better. Yesterday we took on the Pate Hollow trail in Bloomington. ← The Low Gap Trail: Revisited in Full. Question about Pate Hollow. I’m headed there for the first time with a group of people and the very first image in this article intrigues me. The [seemingly] tiny door in the tree trunk. Is that on the Pate Hollow Trail somewhere? 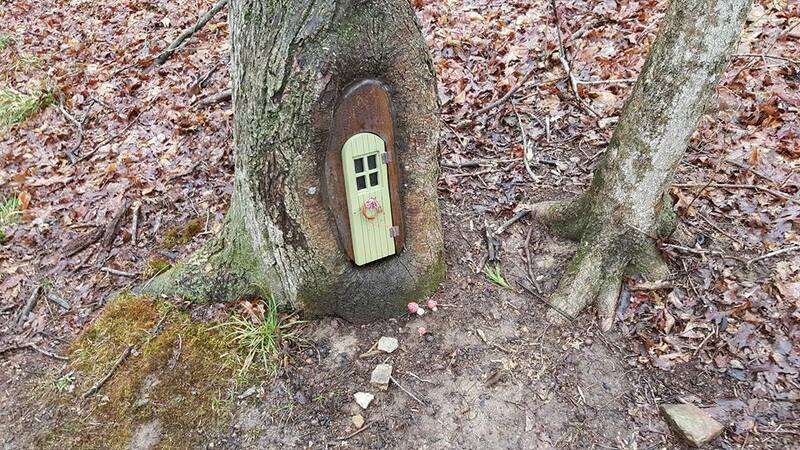 I would love to make “find this door” a “door prize” worthy objective for our hike. Anyway, fun image! Thank you! It is part of the trail, very close to the beginning of the trail if you take the loop to the left (if memory serves me right). Is the “door in the tree trunk” picture at the top of the article taken from the Pate Hollow Trail? If so, would you mind telling me about where it is on the trail? Headed there for the first time and considering challenging my charges to “find this door!”.